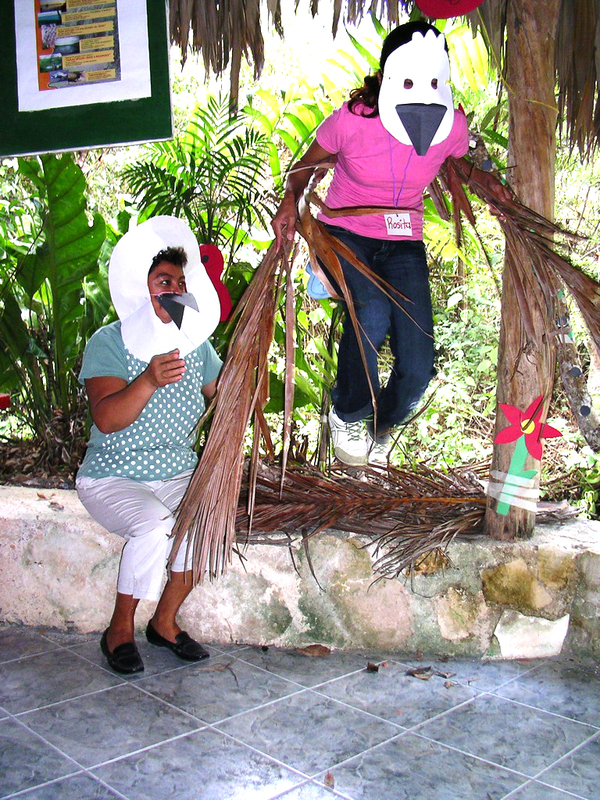 Teachers in Guatemala participate in story telling activities to educate people about the Harpy eagle. Today I am editing a number of short features that will be going into the June issue of CONNECT magazine – and one story jumped out at me. You’ll notice the Harpy eagle in the header for this blog site – that photo was taken by Ron Magill at Miami Metro Zoo. It is a really stunning shot and brings me to the point of this entry. The story I am currently editing is about Harpy eagle education efforts by The Peregrine Fund in Guatemala that has been funded by AZA’s Conservation Endowment Fund. It really brings home the idea that conservation by itself is not always enough – that to be really successful, some of those efforts need to tie into education efforts that can enlighten local communities about different animals. Once they have gained a better understanding of the conservation project in question, they will be far more likely to protect the wildlife and wild habitats involved and have a greater understanding of the value of their own natural heritage.